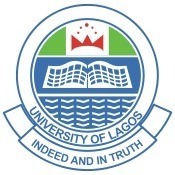 UNILAG Post Utme 2015/2016 Result Out, Check! UNILAG Post Utme 2015/2016 results has been released. Candidates that took part in the screening exercise are hereby informed to check their results online. The management of the University Of Lagos, Akoka hereby wishes to inform all participants in the just concluded 2015/2016 post utme screening that the results has been released. Candidates can now proceed online to check the result of the screening as it has been uploaded online. Type in your JAMB Reg Number and Surname in the spaces provided. Click on “Login” to proceed. UDUSOK Post Utme 2015 Results Out, Check! LAUTECH Post Utme Result 2015 Out, Check! Yabatech Post Utme 2015 Results Out, Check! Ibadan Poly Post Utme 2015 Results Out, Check! MAPOLY Post Utme 2015 Result Out, Check! KADPOLY Post Utme 2015 Results Out, Check! Bida Poly Post Utme 2015 Results Out, Check!